Davao City – The Municipality of M’lang, Cotabato is staging this year’s National Age-Group Chess Championships Mindanao-Leg set this March 1 to 3 at its Sangguniang Panglungsod (SP) building. It will the last leg of its scheduled three-series which was also held in Cebu City (Visayas) last January 3-5 and this February 24-28 in Luzon with an aim to select the country’s representatives to the 2019 20th ASEAN Age-Group in Myanmar on June 9-19, 2019. 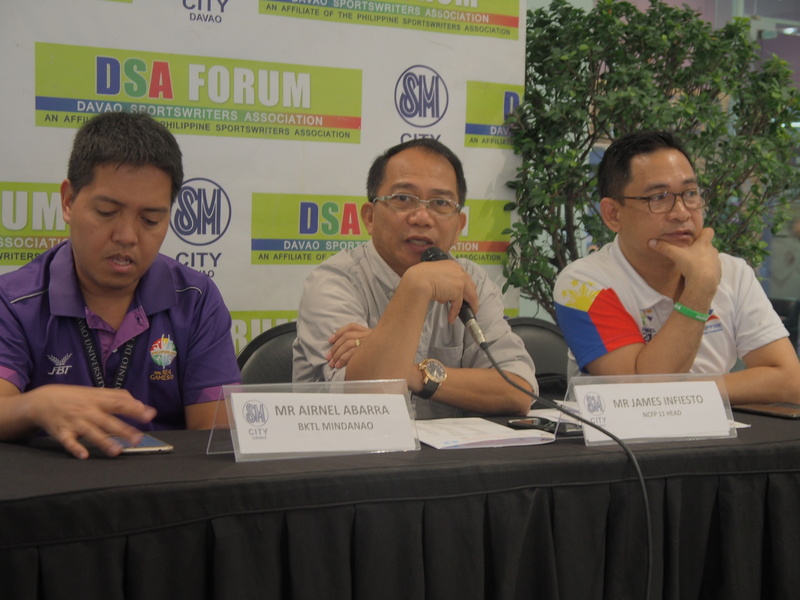 “The Mindanao leg will be very interesting, because players who did not qualify in the Visayas and Luzon series will be coming,” said National Chess Federation of the Philippines (NCFP) Region XI director James Infiesto in yesterday’s Davao Sportswriters Association (DSA) Forum at the SM City Davao. An initial ranking will be given to the participants as based on the National Chess Federation ratings. The Swiss system format will be used during the competition. 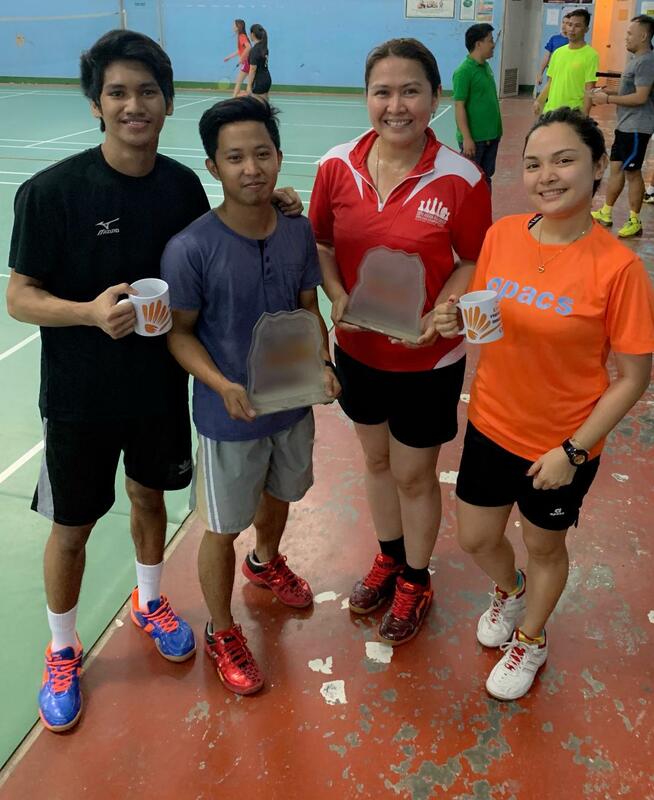 Skye Dionela & Ernest Jan C. Estimo pose with their champion trophy after beating Elle Guerra and Vincent Chocolito, 31-21 at the finals of Smash Shuttlers badminton tournament held at Holiday Spa Badminton Court last February 13, 2019. “The good thing about it, since we are using a licensed computer program, even the event is ongoing the results will be published on chess-results.com, which is broadcast worldwide,” Infiesto added. Municipality of M’lang Vice Mayor Joselito F. Piñol invited Grand Master (GM) Eugene Torre to grace the event hoping to inspire youth participants. He will also conduct simultaneous exhibition games with selected players. Some 250 to 300 entries are seen to join the competition with an aim to have an opportunity to go to Myanmar. Aside from the trophy, medals and cash prizes, the top three finishers in the 14 age group categories from each leg will then advance to the Grand Finals this March 24 to 28 in Iba, Zambales.